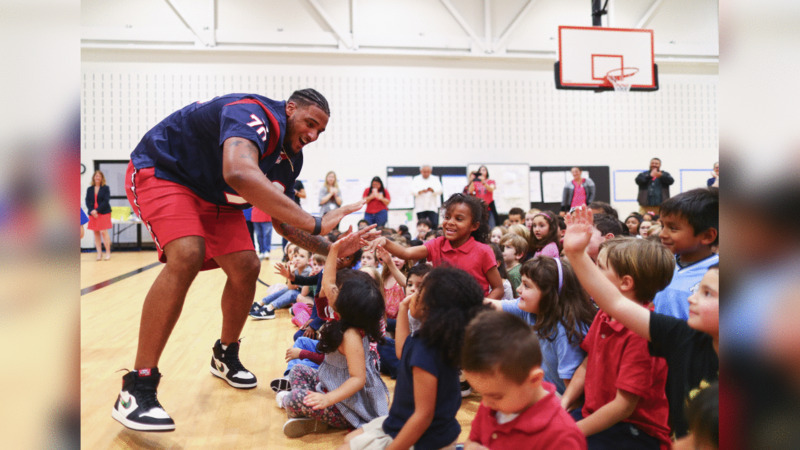 On Friday, the Houston Texans hosted a Houston Texans Kids Triathlon pep rally with Julien Davenport at Wharton Dual Language Academy to help get students excited to race. We are less than 30 days out from the BIGGEST kids triathlon in the world, and there is still time to sign up! Training clinics are available at the YMCA. An image from the March 29, 2019 community development event. The Texans hosted a Kids Triathlon assembly at the Wharton Dual Language Academy. It was presented by Texas ChildrenÕs Hospital. An image from the March 29, 2019 community development event. The Texans hosted a Kids Triathlon assembly at the Wharton Dual Language Academy. 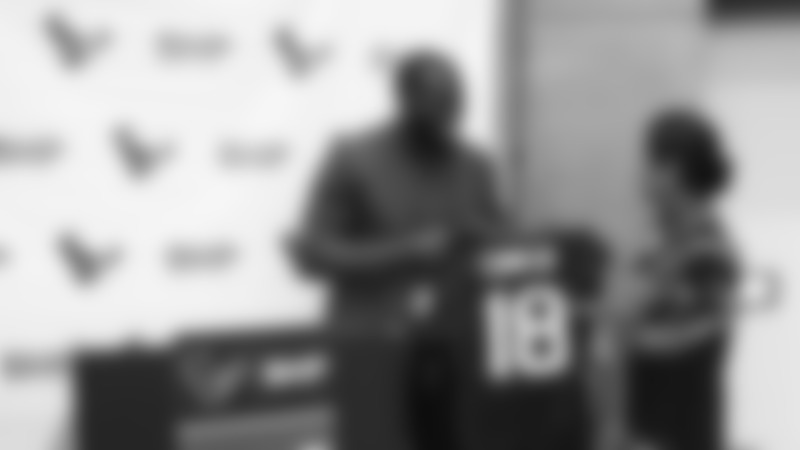 It was presented by Texas Children’s Hospital.